Hello, below is a list of the top comic book sales during 2014. There were some significant issues sold this year, including a record setting sale in August. 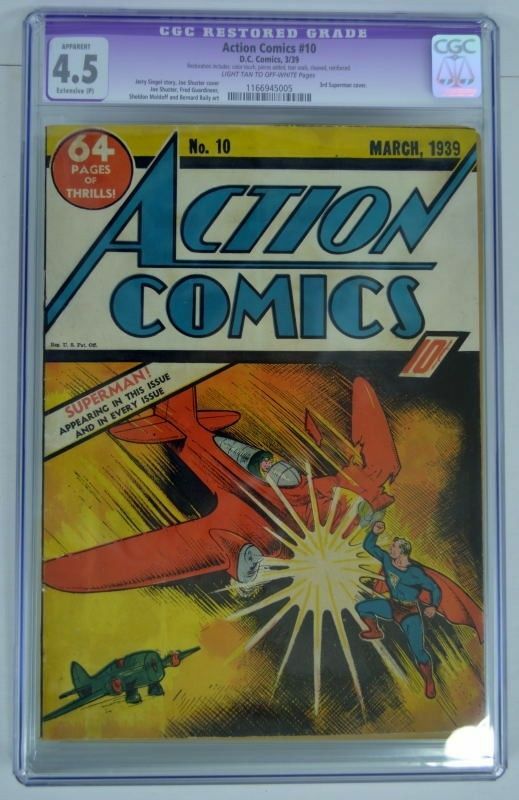 The sales all come from online auction house ebay – and we track the top sales each month in our top selling comic books section. This is the second Action Comics #1 graded CGC 9.0 to sell in recent years and the 2014 sale breaks the previous record. 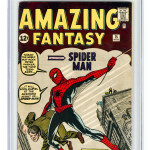 It’s comic book sale marks the 1st comic book to eclipse the 3,000,000+ during an auction. It’s also over $1,000,000 more than than Nicolas Cage’s copy realized in 2011. 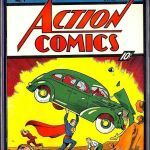 At these prices, finding an undiscovered Action Comics #1 in mint condition would be considered one of the holy grail comic book finds. If only I was so lucky! $75k looks like a small figure compared to $3.2 million, but this is a significant sale and one of the finest Batman #1 comic books in existence. 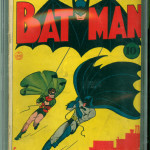 According to the CGC Population Report, there are 4 CGC 9.0 Batman #1 in existence. There are 5 Batman #1 comic books graded CGC 9.2 in existence. 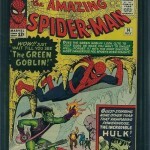 1st appearance of Spider-man and one of the most significant comic books ever printed. 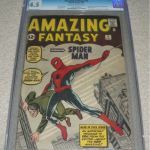 Amazing Fantasy #15 dominates our monthly top selling comic book column – but this issue sold for the highest value & was in the best condition. According to the CGC Population Report, only 9 comic books exist in this condition or better, and only 2 are graded higher. 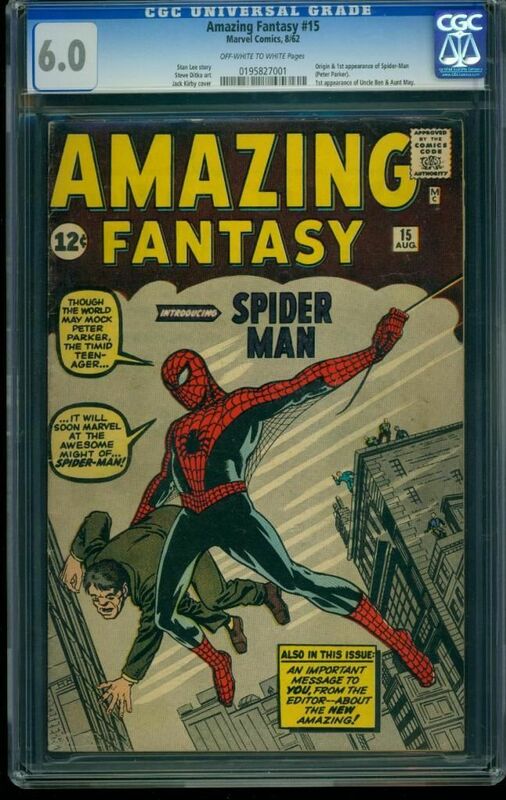 Notice that the #3 comic book sale in 2014 is an Amazing Fantasy #15 comic book graded 7.0. 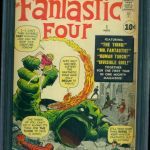 You can see what 1 tick on the grading scale either way costs you on these high-end comic book sales … about $16,000 dollars! This Fantastic Four #1 comic book was restored to a CGC 9.4 condition. The restoratoin included color touches, pieces added, the spine was re-inforced and the book was cleaned. It appears they did a nice job. This comic book features the 1st appearance of the Fantastic Four. 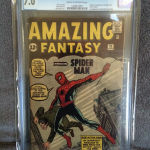 The 3rd Amazing Fantasy #15 comic book to make the top 10, and again you can see the price difference depending on the condition of the book. CGC 7 = $41k, CGC 6.0 $25k and CGC selling for $17.5k. For some comic books, getting the key artist or writers to sign the book doesn’t always increase the value much at all. 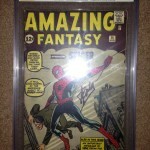 While a nice addition, Stan Lee’s signature currently doesn’t increase the value of a top-shelf type book like this. In the future it might. Here’s a good example of how a restoration effects the value of a comic book. 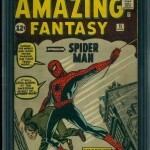 If done right, you can achieve a high price like the CGC 9.4 copy above. 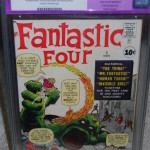 This Fantastic Four #1 comic book is in original non-restored CGC 7.0 condition, and it sells for about the same price. Ultimately, it’s a good idea to leave the comic book in it’s existing condition unless you have a professional restoration artist do the work. 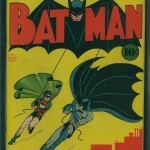 This comic book might have piggy-backed off the sale of a CGC 9.0 Batman #1 comic book that sold the same month for $75,535 (see #2 ranked sale above). 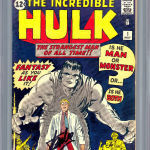 Notice as we get further down the grading scale, the price difference gets narrower as a CGC 5.0 wasn’t that much more than this one graded 4.0. This was a restored CGC 4.5 grade with extensive restoration. We’ll keep updating this page through the end of 2014 with new top selling comic book sales. 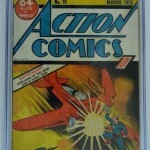 This entry was posted in Comic Book Values, Top Sellers and tagged Action Comics #1, Comic Book Values, Top Sellers by Comics Watcher. Bookmark the permalink.